The current wave of consolidation sweeping the data center industry has been focused on building bigger, with acquirers seeking to create national and global platforms. But there’s also room for new players with a regional focus and an eye on the edge. A case in point: This week data center startup DC BLOX said it has secured $37 million in equity and debt funding, completing its Series B financing. The Atlanta-based company has now raised more than $53 million from equity investors and the DC BLOX management team, along with debt financing from Metropolitan Partners Group. DC BLOX builds Tier III data centers with a modular design and lean construction methods, employing precast components. The company has completed data centers in Chattanooga, Tennessee and Atlanta, and also has a project underway in Huntsville, Alabama. 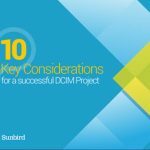 It says it will use the funding to build three additional data centers, targeting new projects in Birmingham, Ala., Greensboro/Winston-Salem, N.C., and Greenville, S.C.
Modular design and lean construction methods are playing a major role as the data center industry looks to deploy capacity in new places. As data moves to the edge of the network, data centers are being right-sized to fit the demands of these new markets, deploying space in digestible chunks. The 25-megawatt “aircraft carrier” data centers seen in major Internet hubs and cloud campuses are poorly suited to local markets, where the requirements will be considerably smaller. DC BLOX is among a number of new providers targeting opportunities in edge computing, with some companies developing modular designs optimized for deploying IT capacity at telecom towers, and others creating traditional designs that are sized for smaller regional markets. DC BLOX fits into the latter category, with “building block” designs that can be deployed in chunks of capacity as small as 3,350 square feet. 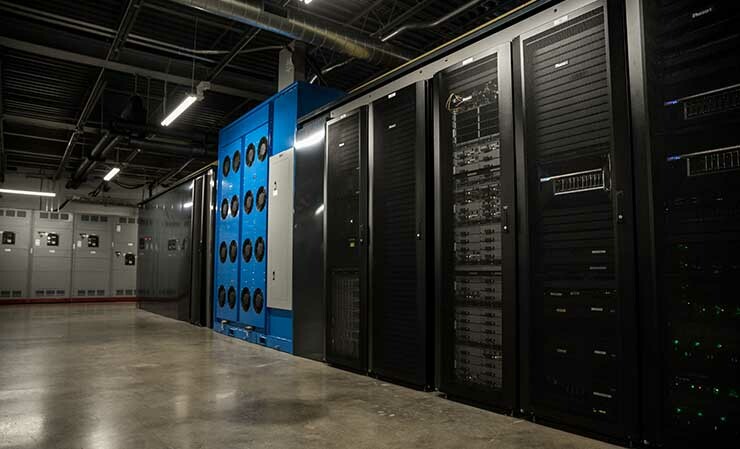 Each data center is interconnected with DC BLOX’s high-speed, fiber-optic network, which enables a variety of use cases, including business continuity, disaster recovery, content delivery, IoT and mobile applications. 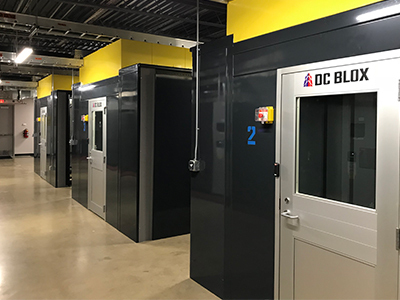 DC BLOX expects to open two new data centers, representing at least three megawatts of critical power by the end of 2018. That includes a $13 million edge data center in Huntsville on a five-acre campus is located near Redstone Arsenal and the Marshall Space Flight Center. The facility can support up to 10 megawatts of data center capacity, built over time in multiple phases. DC BLOX says the facility will provide mission-critical infrastructure for manufacturing, defense related contractors, high-tech, education and healthcare businesses. The company expects that phase one of the multi-tenant facility will be online summer 2018. DC BLOX is targeting underserved markets in the Southeast. 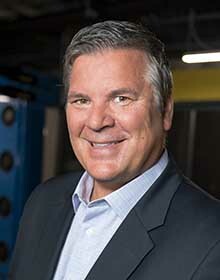 It’s a strategy that has worked before for regional players, most notably Peak 10, which built a network of medium-sized data centers across the Southeast before merging with ViaWest to create a national platform with Flexential. The industry’s recent burst of mergers have included strategic deals designed to help current players get larger. Many data center executives and investors see the ability to compete at Internet scale as a key requirement. But they also see opportunity for focused strategic players that can target opportunities with smaller markets and smaller facilities. Several other recent financings highlight this trend. Luxembourg-based Etix Everywhere, which has focused on modular data centers for secondary markets and smart cities, has sold a 41 percent stake in its business to SBI Holdings, a Japanese firm with ties to Softbank. SBI is focused on working with Etix on opportunities for cryptocurrency infrastructure. Modular data center startup EdgeMicro announced a $3 million round of seed funding from executives with key experience in the data center industry.